Tziwe and Yixian both from Netherlands, flew in to Singapore for a short getaway. Little did Yixian know that this trip would actually turn out to be one to remember for life. 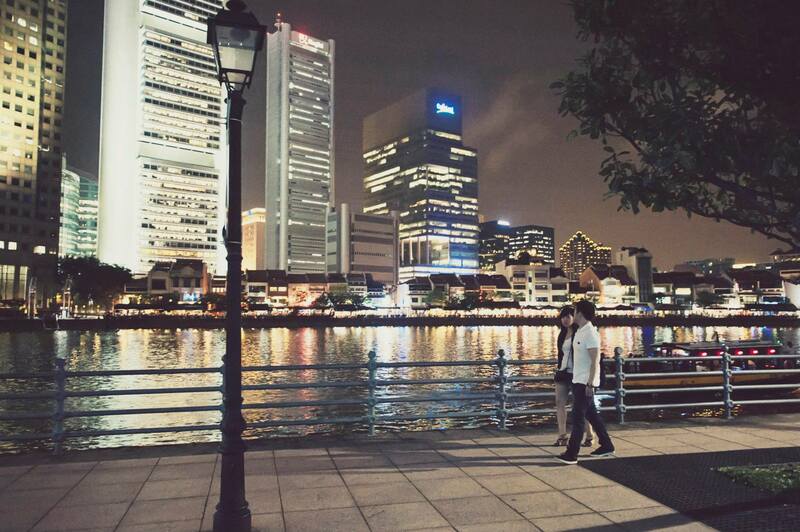 On a nice romantic night, the couple was taking a usual stroll after dinner along the scenic Singapore River when Yixian was approached by a photographer trying to capture the beautiful night view. 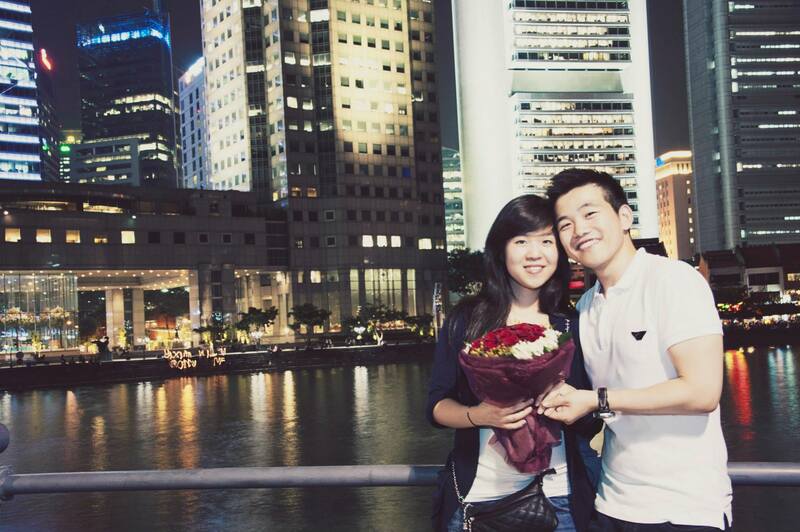 With the camera positioned facing across the river, Yixian was asked a favour to take a photo. 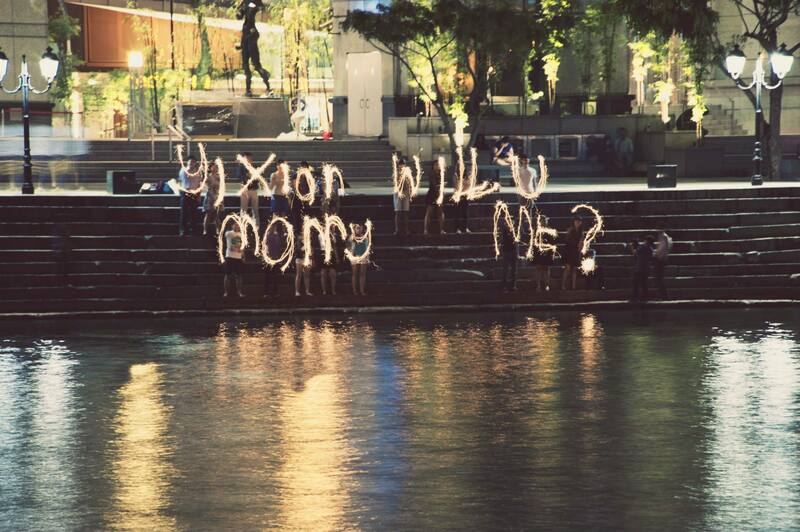 Meanwhile, in the background, upon sighting the couple strolling down the pavement, our team has already relayed the message across the river to get ready the sparklers. 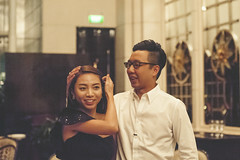 With Yixian engrossed in the conversation with the photographer on taking the photo, the bouquet and the ring was discreetly passed to Tziwe. As Yixian snapped the photo, a puzzled expression took over her initial enthusiasm as she clearly saw no picture-worthy scene in the frame. 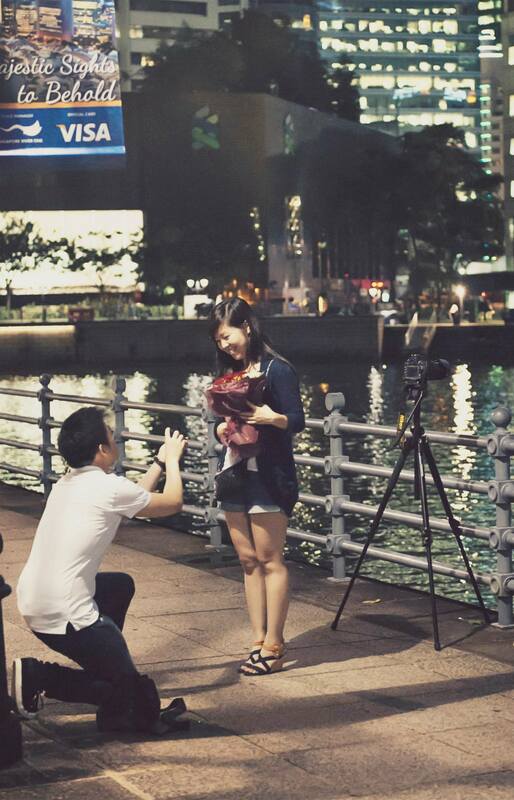 But when she reviewed the photo, she finally understood what it all was about; with the help of the slow shutter, “Yixian will you marry me” appeared distinctly against the dark backdrop. 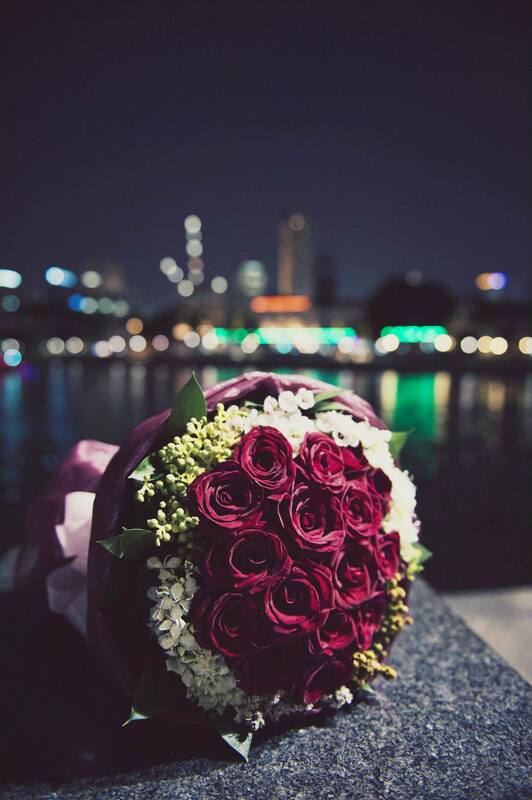 She turned around to see the love of her life with a bouquet in his hands and then got down on one knee. 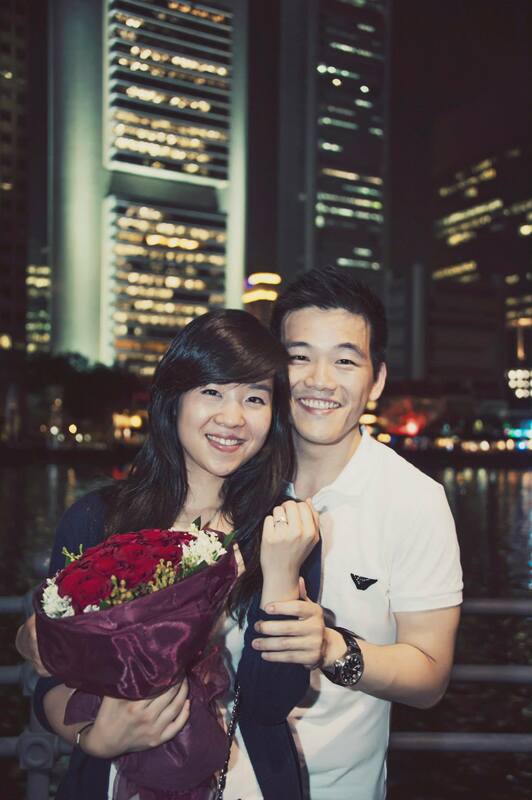 As he presented the ring and asked for her hand in marriage, she could hardly contain her emotions. Tears trickled as she shyly nodded to Tziwe’s promise of a lifetime.